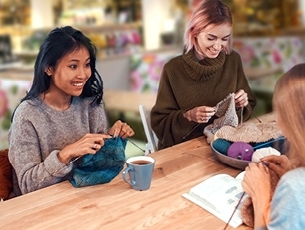 Meet friends, relax, swap skills and ideas in our knit & natter workshops, every Wednesday* from 9:30 – 10:30am. Free drop-in sessions located in the Café Bar. Available at Squire’s Badshot Lea, Milford, Shepperton and Twickenham only. Everyone welcome but seating is limited.